~ Homemade lunches! Please tell us if you prefer something special! We do a lot of elk barbecue burgers, brats and steak out on the water for our shore lunches. We can also cook a shore lunch on our walleye trips with the fish we caught fresh that morning. 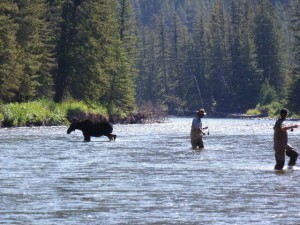 ~ Transportation to and from the lake or river from your lodging. ~ Rods, Reels, All Tackle, Flies, Leaders, Tippet, ETC. ~ Warm Clothes (Layers) Prepare for a chilly morning then warmer afternoon! ~ Polarized glasses is a must! SHOULD I BRING MY OWN ROD? ~ Absolutely! Everybody has their favorite rod! We will set it up for you the morning of the trip. Yes, you can bring your own beer. Please be responsible! It will be regulated by the guide’s discretion. We prefer you to drink at the end of the trip! We will professionally vacuum seal and fillet your fish at the end of every trip. Cell phone coverage on the lakes and rivers is so spotty. Don’t count on it at all! The number of fish that may be legally taken during one calendar day. We like for you to take home fish! 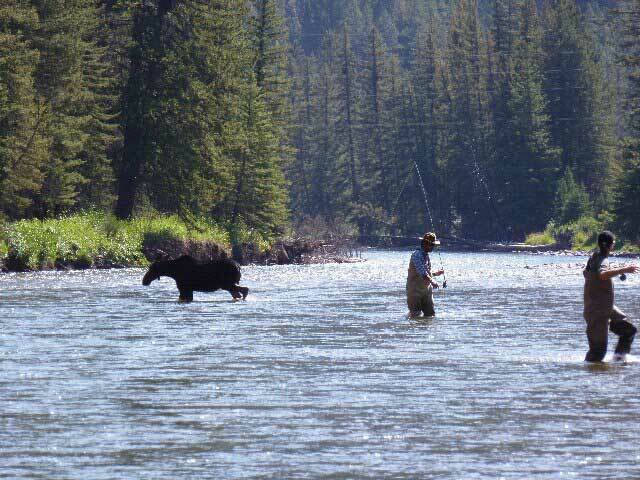 As long as it abides to the Montana fishing regulations for that specific body of water. We will fillet your fish at the end of the day and vacuum seal it for your convenience. We have our own selective harvest rule on our boat for walleyes usually over 5 pounds. We like to let these females live and reproduce for our future of fishing. Reproduction mounts are available on all fish if you would like to practice catch and release. We will take the essential measurements and pictures of your fish for our in house taxidermist. We have our own selective harvest rule on our boat for walleyes usually over 5 pounds. We like to let these females live and reproduce for our future of fishing. Reproduction mounts are available on all fish if you would like to practice catch and release. We will take the essential measurements and pictures of your fish for our taxidermist. All fish species of any size may be mounted with our reproduction mounts. Make the memory last forever! Reproduction fish mounts usually run from $18 to $20 dollars an inch. Fishing tackle that we use for walleyes may be purchased at the end of the trip if you would like to take some new tackle back to your home waters or for a sovenier of the one that you caught your fish on! ~ Deposit will be refunded in whole if you give 30 days or more notice of intent to cancel. Within 30 days we reserve the right to make refund decisions on a case by case basis. ~ Trips cancelled by the guide alone, due to weather or other unforeseen circumstance will result in a full refund if scheduling isn’t possible. A better question would be “what isn’t there for non-fishing guests?”. Non-fishing activities that can be arranged include horseback riding, white-water rafting, gates of the mountains boat tour, scenic hikes, photography, lewis & clark cavern tours, natural hot springs, zip-lining, gondola ski lift rides, art galleries, live-theatre, mountain biking, numerous downtown Bozeman and Helena events, local breweries, and many more. You will not get bored here! No matter when you visit or who you fish with, communicating with your guide is key to getting the experience you want. This discussion starts when you book your trip and it continues on the river. If you’re a beginner, say so. If you only want to fish dries, speak up. If you have plans for an early dinner, prefer solitude, would rather catch one big fish than lots of little ones … TELL your guide. You get my point. The best way to avoid disappointment on any trip is to set expectations up front. Our guides will do their best to exceed them.